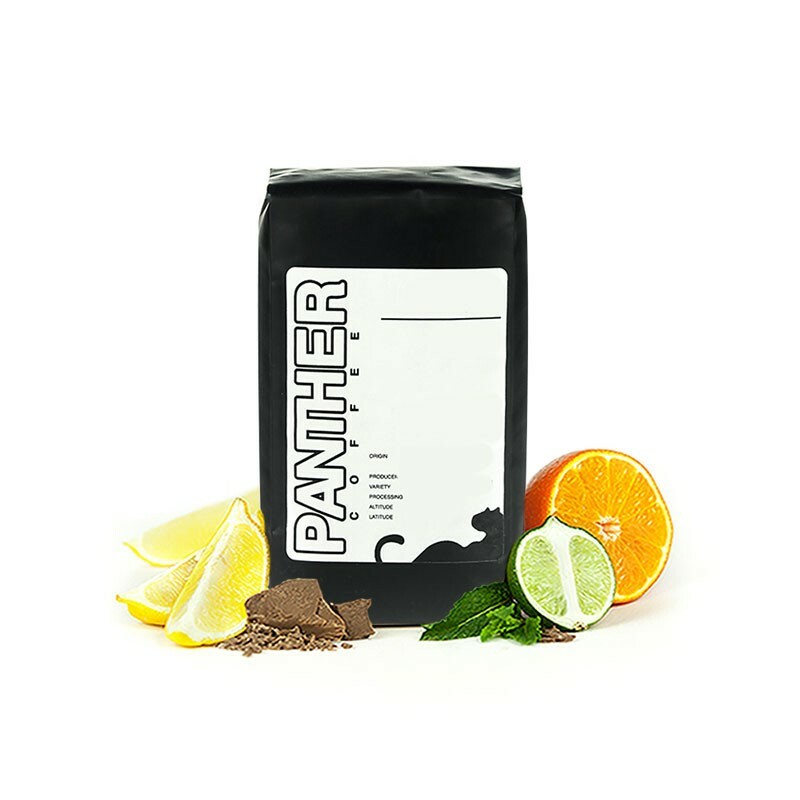 This is the Colombia Cencoic brought to you by Panther Coffee Roasters. This fully washed coffee was sourced from the growing region of Meseta de Popayan in Colombia and was produced by the CENCOIC cooperative at 1,600 - 2,000 meters. Enjoy the mellow, balanced cup with notes of caramel and citrus. Really enjoyed this today. Great medium roast with a clean profile. Flavors felt a little less-developed than they could be. Overall I found it a bit flat. Still drinkable. Earthy, full-bodied coffee, with understated woody and beet flavors. Well-balanced acidity. Of the three sent my way thus far, this particular Panther coffee is my least favorite. Unfortunately I just never got the citrus notes, and the chocolate notes were more baker's chocolate, which I'm not a fan of, personally. Definite heavy caramel notes, and mellow is the right word. The coffee overall, to me was just flat. We ran it through V60 and Chemex, and though I dialed the grind on both, I couldn't seem to coax out much sweetness. Really, really enjoying the citrus in this. May be the first coffee of my subscription (albeit recent) that I've perfectly dialed in, using a Kalita Wave. Really great cup. There were moments that I really enjoyed this coffee. Usually around the middle of the cup it had a sweet, citrusy undertone. But other than that, it was just ok to me. I didn't hate it, but it lacked some of the flavor I was hoping it would have had. Light but a bit too light. Flavors are there but not "coffee" enough. Of the few coffees tried thus far, this one offered a very mild taste - not bad, but not 'wow' either. I was excited to see that my next coffee was going to be this Colombian Cencoic coffee. I typically like Colombian coffee's; however, this wan was just O.K. to me. when I ate it I didn't really taste all the different notes of flavors that were listed. I tried brewing it several different ways with the aeropress and with the chemex. This coffee for me did not have a bad taste, but it didn't have some of the underlying flavors that it claimed to have. It just tasted like coffee, not bad, just coffee. I did notice that this coffee had a more smokey taste to it. A little more bitter than sweet, more of the walnut, cocoa, and earthy notes......a mahogany and graham cracker aroma. I didn't taste any of the fruity mangosteen notes. The method I used that seemed to extract the most flavor out of this coffee was by using the aeropress with the inverted method. This wasn't bad, but I did not fall in love with this coffee. Smooth, citrusy, just the right amount of sourness. Nice. This one was ok. Notyou fav, but not bad either. I think it might have been the graham cracker that threw me off a bit. Great aroma, very full bodied. Pleasing bitter chocolate notes. I liked this coffee, well rounded, bright, and some citrus sour.